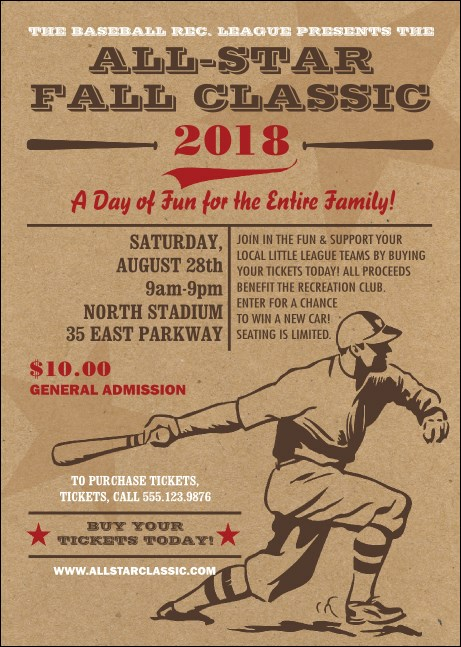 One look at the All-Star Retro Baseball Postcard Mailer and fans will be marking their calendars to attend your tournament games! Its throwback style and athletic typeface present your event information in a fun, unique light. To send to your prospects, simply customize its twenty four text lines and upload your .CSV mailing list. We’ll print and process…fast! Measurements are 4.25" x 6"
Hit an event publicity grand slam with help from TicketPrinting.com postcard mailers!